Once we left the beauty of Napa, we headed down to Monterey, CA where we had booked 2 nights at the Centrella Inn- I made sure that we got a “cottage” because I wanted to have the full kitchen, living area- antique bed- you name it- I made sure it was done up nice…. BUT, one thing I did not count on was the newly married couple on the 2nd floor of our cottage using their antique squeaky bed at random hours of the day & night!! Full occupancy, no way to get out of the cottage into another room.. it was like rabbits were on the floor above us. 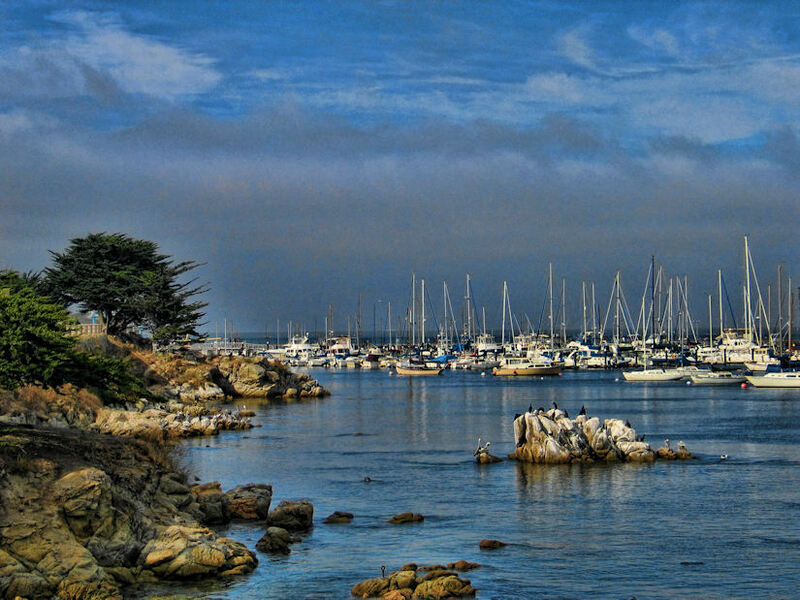 But all in all it was a fabulous trip- we loved the view walking from Monterey to Pacific Grove and now since that time I have done the Big Sur Half Marathon 3 times with my girlfriends- each time we run past that cottage all I can think about are the rabbits and our no sleep nights!! Please enjoy the shots- I must have shot that tree at least 75 times just trying to get the money shot. This was shot at dusk during a heavy Marine Layer. 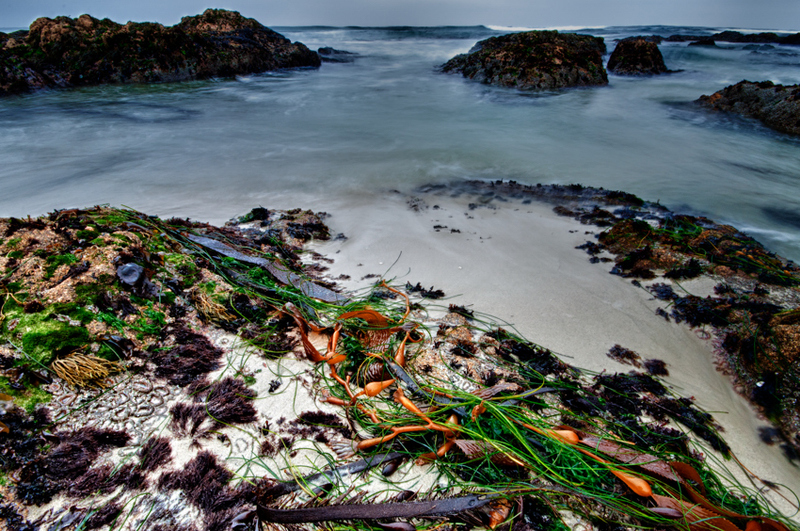 I wanted to accentuate the myriad of textures and colors of the exposed kelp and sea creatures on the rocks as the tide was out but coming in strong. Timing was critical as one can see the huge waves on the horizon about to wash over this scene (and the photographer). 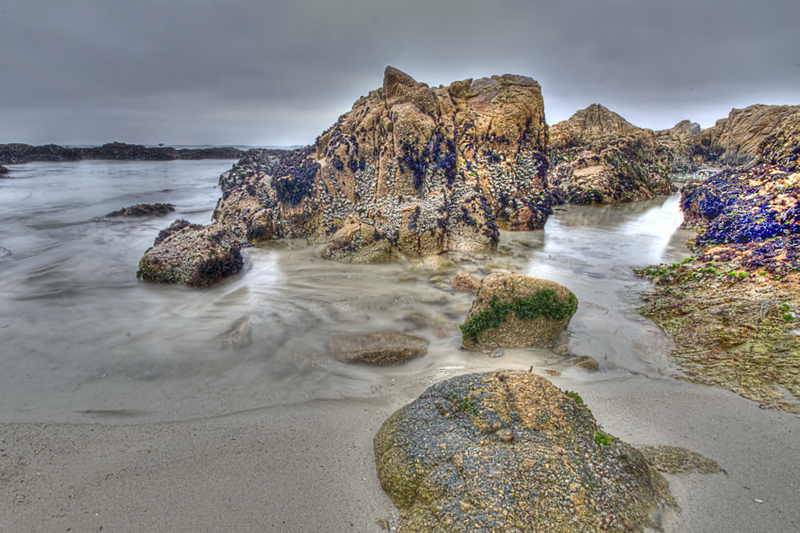 Asilomar Beach covers the western edge of Pacific Grove on the Monterey Penninsula. 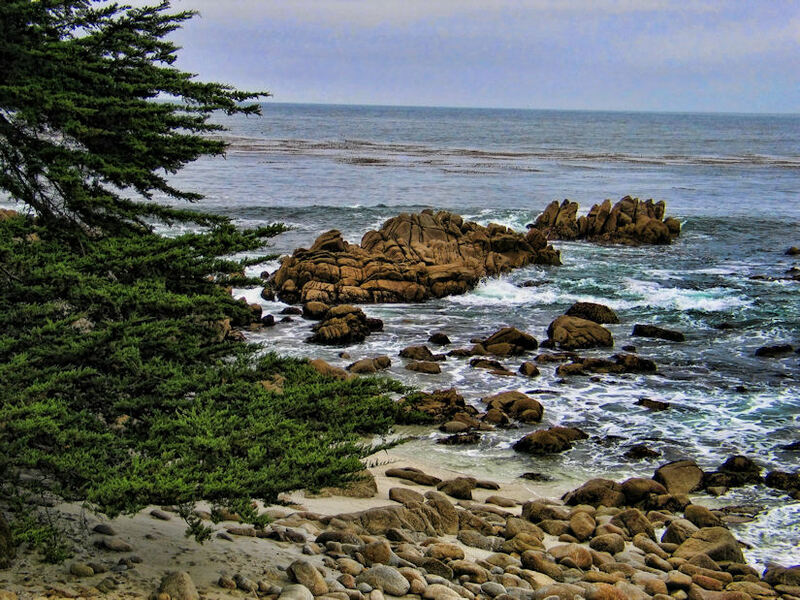 The southern portion is a broad white sand beach which leads away from Ocean View Boulevard into Pebble Beach property. 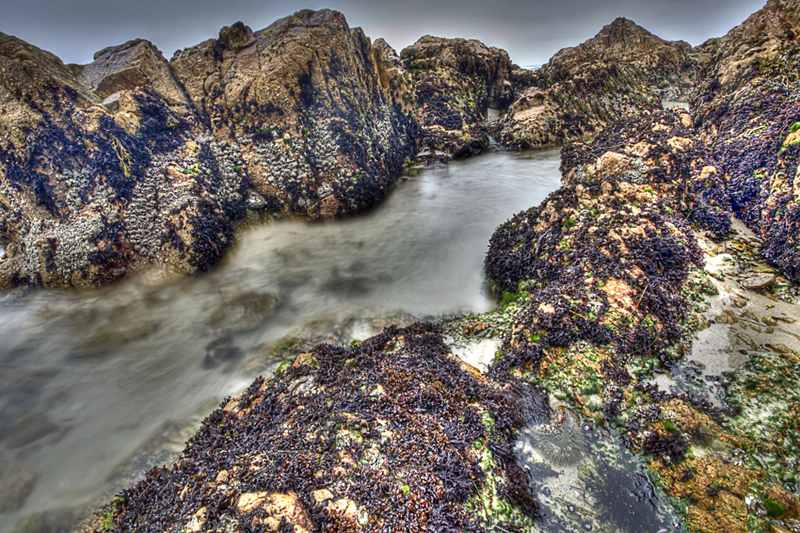 I am fascinated by tidepools and love to shoot them with a long shutter speed, polarizing filter, wide angle lens and wet feet! 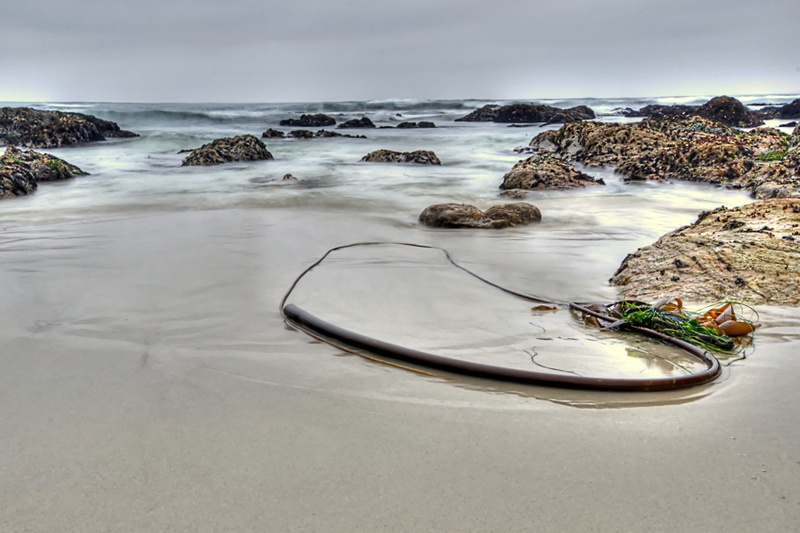 The waves were quite strong, but the slow shutter helped to smooth out the water. I like all of the sea critters on the rocks waiting for their next submersion! 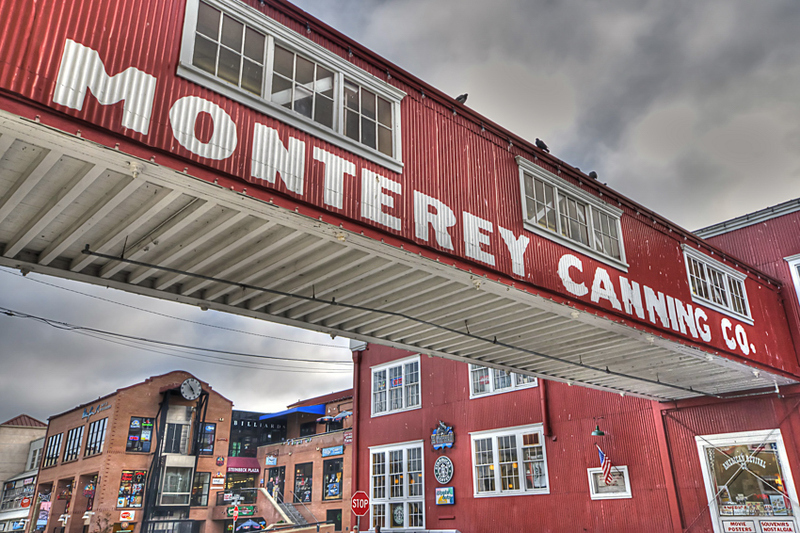 Cannery Row is a charming place to visit, oozing with history. Top Cat Cigars is fun to drop into , the owner is a hoot! 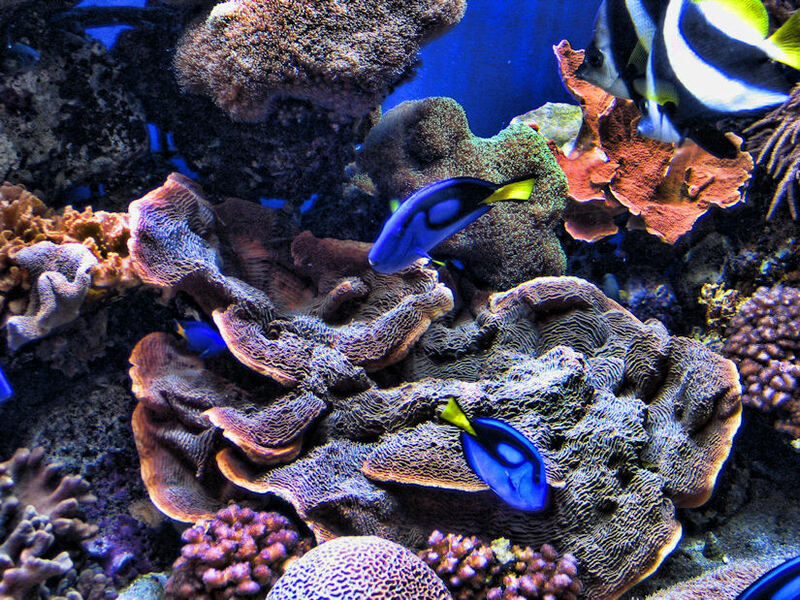 This striking image welcomes you to explore the treasures of this jewel of a location. 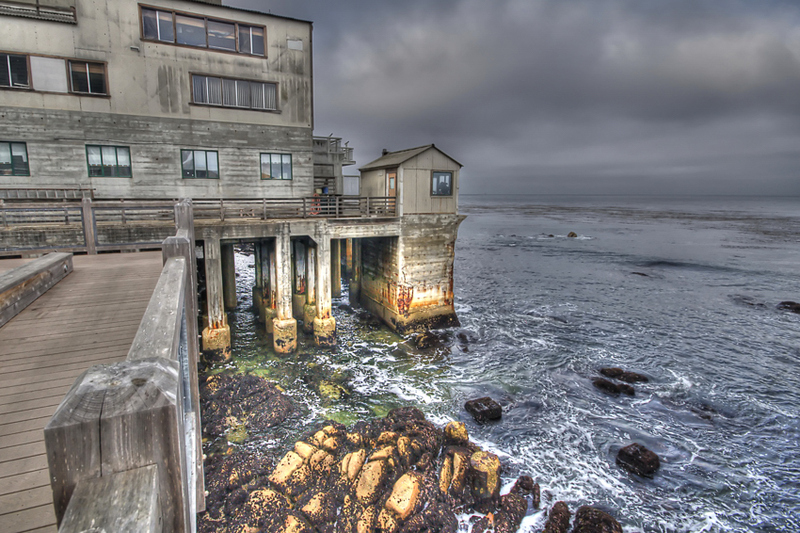 This is another awesome view from Cannery Row over looking Monterey Bay. Once again a thick marine layer added to the smokey atmosphere. This is a must visit location – very charming and ripe with history!